One of the things lost in the shuffle of the iOS 7 announcement at Apple’s Worldwide Developer Conference presentation was the news about a new AirPort Extreme, Cupertino’s all-in-one home router and Wi-Fi base station. The new AirPort includes enhanced speed and better dispersion of its wireless signal, which should allow for improved device connectivity at home. Probably the most significant upgrade with the new Extreme is its use of the 802.11ac wireless standard. Throughput rates of up to 1.3Gbps are now possible, which is three times the speed of the older 802.11n standard. Dual-band frequency transmission allows for the simultaneous connection of a wider array of devices. Also of note is the AirPort’s new beamforming antenna array. This actually detects where in the house an 802.11ac device is located and tailors the antenna signal for an optimal connection. Additionally, the device now sports six antennas, three for each band, which improves the overall wireless reception. 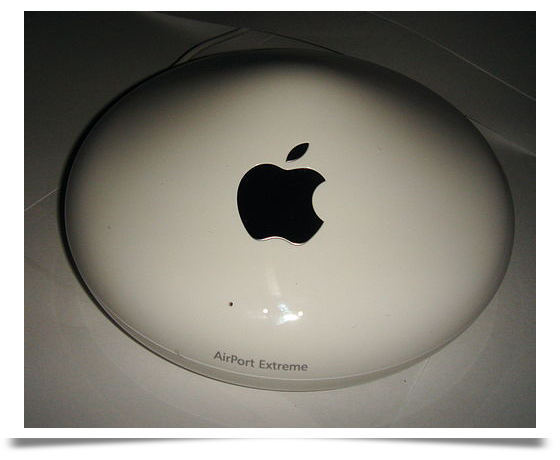 The new AirPort Extreme includes a built-in power supply, which helps to easily fit the device among an array of home computing equipment. The new design also has a smaller footprint, which is a surprise considering the extra antennas compared to previous units. An AirPort management program is included with the iOS 7 and OS X operating systems, so users can control the device from their iPhone, iPad, iPod Touch, or Mac. Easy wireless printer sharing is also a feature. The base AirPort Extreme retails for $199. For users who desire backup functionality, there are two models called AirPort Time Capsule that add either a 2TB or 3TB hard drive for $299 and $399 respectively. The AirPort family of devices makes perfect sense for a family of Apple fans. The extra backup functionality of the Time Capsule models should be considered by anyone who desires the extra piece of mind provided by managed data backups.